The IYSSE at University of Michigan Ann Arbor has been an established club on campus since 2007. The club has been at the forefront of the fight against war on campus holding multiple rallies against US imperialist violence around the world. We have hosted dozens of lectures on the history of the twentieth century, art culture, the drive to war, the Detroit Bankruptcy, and the Russian Revolution. The IYSSE generally meets Mondays at 7. You can email us at iysse.uofm@gmail.com to find out the details for the next meeting and more of how to get involved. You can also follow us on Facebook for special events and club activities. 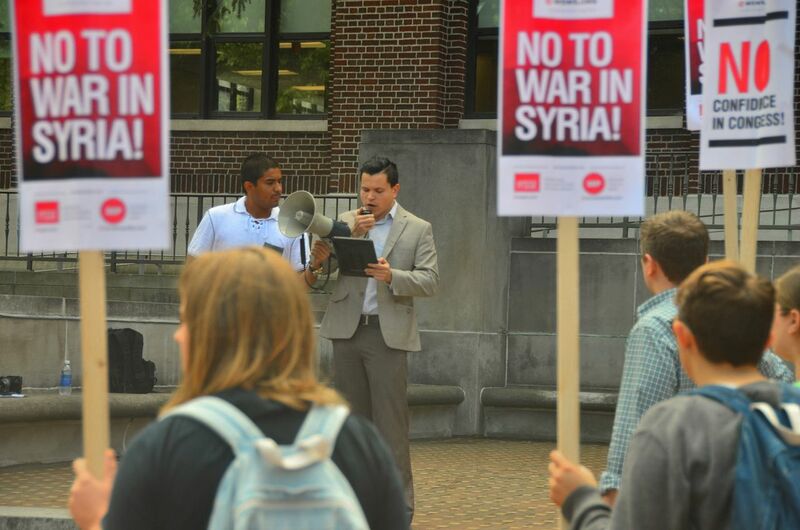 IYSSE National Secretary, Andre Damon, speaking at a anti-war rally called by the University of Michigan IYSSE.